It has been a while since we parodied a logo. Sunchoke is also known as Jerusalem artichoke, sunroot, and earth apple. Like many tubers, Sunchoke can be baked into chips! 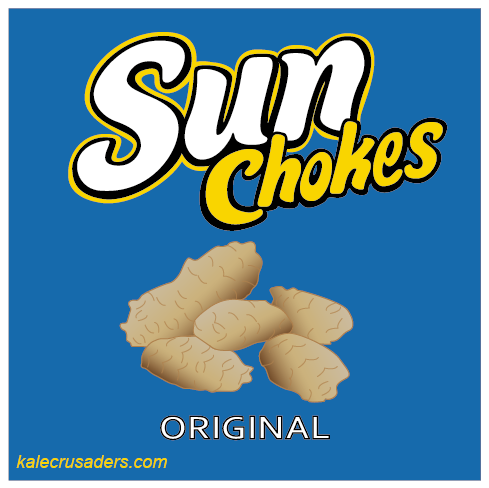 Check out these Sunchoke Chips by Alysa Bajenaru at inspiredRD.